Manchester is about the people. Many legends have emerged from our rainy homeland which have gone on to shape the world we all live in. The likes of L.S Lowry, Emmeline Pankhurst, Alan Turing, Anthony Burgess, Tony Wilson and Caroline Aherne. We are a city which sees the true potential in individuals but at the same time works together as a community. We look out for each other, we put others before ourselves and we strive to see our fellow brothers and sisters achieve there goals. 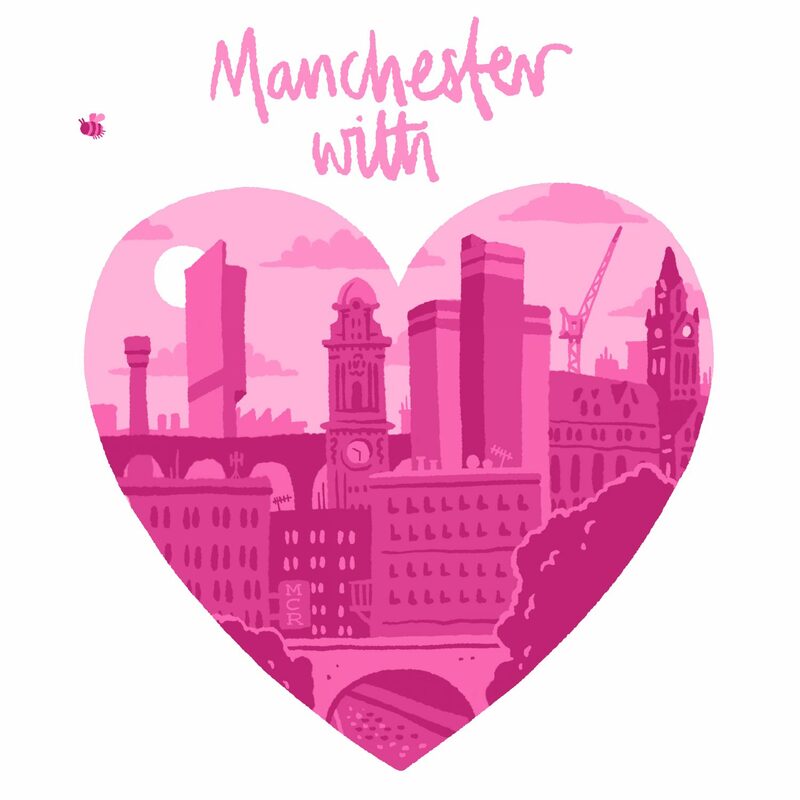 The recent attack has affected us all in the knowledge that fellow Mancunians have had that potential taken away from them, in a city that has so much to offer young people. In response we show unity, we re-enforce the very essence of what it is to be Manc. We pull together in the face of hardship and show the world that we can set an example. We have open arms not clenched fists because we have each other.